Headers, sidebars, blog posts, footers…? While we try really hard to speak in plain English, we know web designers can use a lot of lingo. 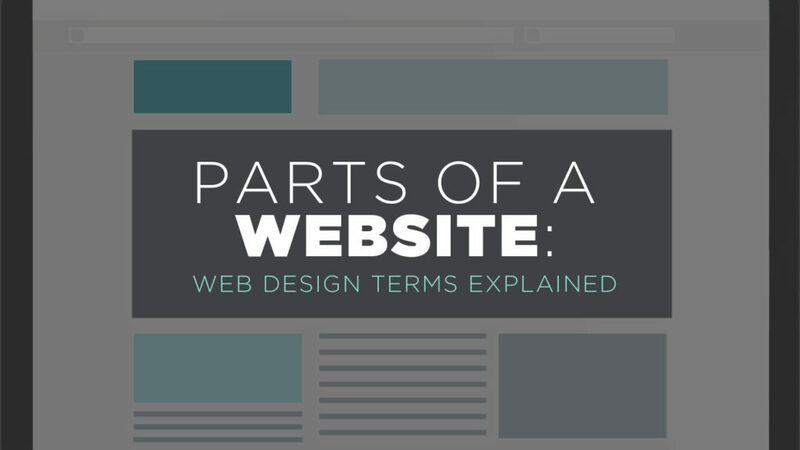 Don’t worry, it’s not too hard to explain or remember the parts of a website once you understand the basic structure. In this post, let me take a few minutes to get you comfortable with web design terms that your web designer might use. Then, you can jump right in and look like a pro during your web design project. Home pages can be long or short, containing a lot of information or just a little, depending on your goals. Keep in mind that the home page is not always the first page that visitors land on when they enter your website (especially if you have a smart education-based marketing and SEO strategy). So every page on your website should lead visitors to learn more about you and take action, not just the home page. A slider on a website is a changing content area with different “slides” of visuals or information. The slides may include a large image and they may also include text and buttons overlaid on top. While sliders were very popular several years ago, I do not often recommend using sliders for modern website design. Check out this article for many reasons why sliders don’t do a great job getting visitors to take action. 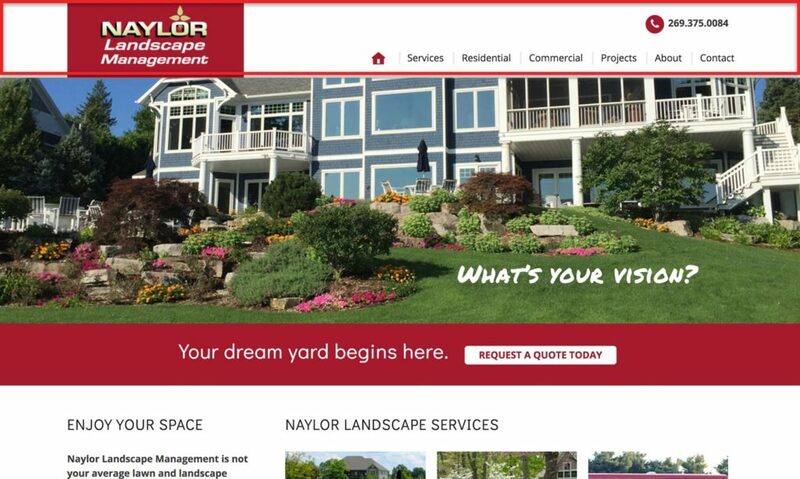 The header of a website is the consistent area at the top of the site that includes the logo and navigation menu. At 11Web, our tendency is to keep the header very simple and lead the user to the navigation menu. Note that a header is called “sticky” or “fixed” when it stays in place at the top of the window when the user scrolls down. The navigation is part of the header and includes the links that take visitors to other parts of your website. We often hear clients call these “tabs” at the top of the site, but menus designed to look like tabs are basically non-existent in 2018. Instead of calling these “tabs,” you’ll instead hear us refer to the menu items as “links” or “pages” in the menu. Note that navigation can include both primary and secondary navigation menus. Two separate navigation menus are used when there may be a lot of navigation needed, and you want to be clear which links are most important. The primary menu includes the main, most prominent links. These are generally links to high-value pages on the website like the Services and Contact pages. The secondary menu includes other links that may not be as transactional or important. This might be links to Login, My Account, or Employment. A sidebar is an area of the website used to display information that’s not part of the page’s main content. A sidebar can include an opt-in, call to action, links to other parts of the website, links to popular or recent blog posts, advertisements, social media links, or a brief “About” paragraph for context. Sidebars used to be very trendy places to throw everything you didn’t want a website visitor to miss. Today, though, there is a lot more talk around the idea that sidebars just add distracting clutter to a website. See this awesome article: Should Your Website Have Sidebars? What the Research Says. 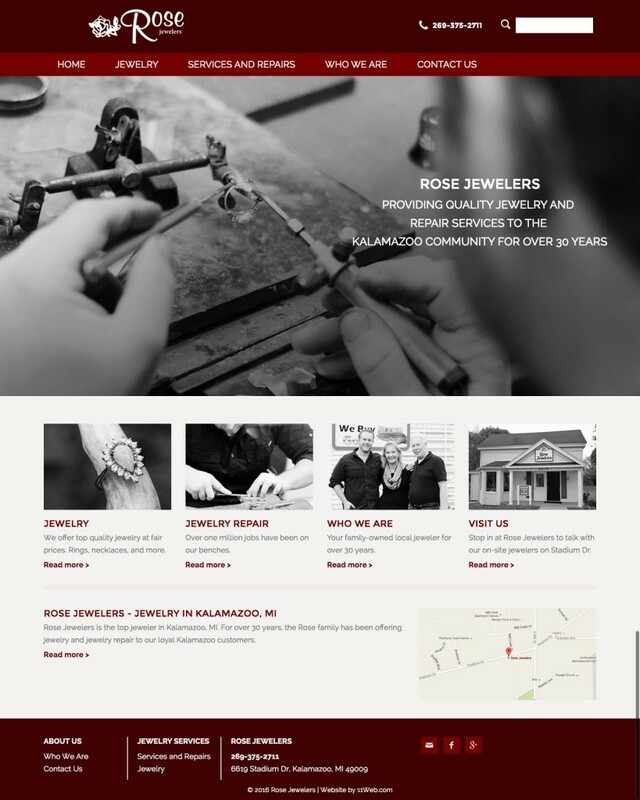 We tend to keep sidebars on the websites we design simple and relevant, when we use them. Our goal is to simply guide the user to an action we want them to take, not to distract from the main content of a page. A call to action (“CTA”) is the part of a website that incites visitors to take action. It usually involves an attention-grabbing headline, a sentence or paragraph about the benefits of taking the action, and a button or opt-in box. It is one of the most important parts of a website because it is what guides the visitor to do what you ultimately want them to do. The website footer is the consistent content area at the bottom of every page of your website. Consider it the bottom bun on the website cheeseburger (if the header is the top bun). 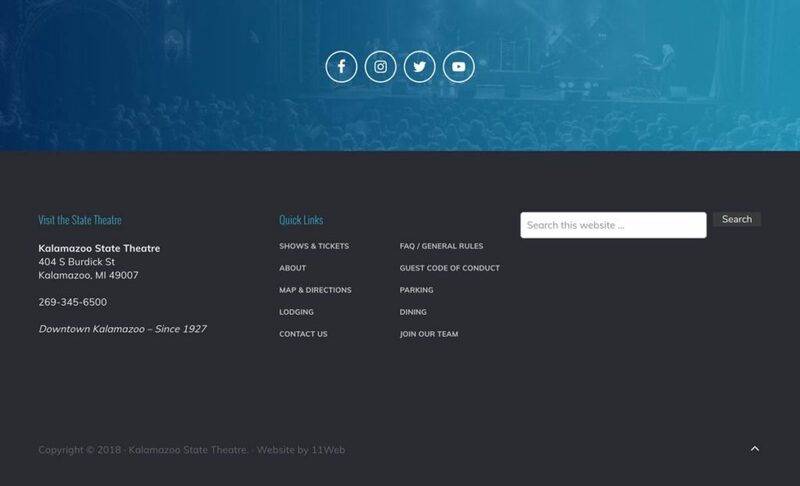 The footer can be anything from a single line of copyright information to a multi-section area with contact information, a map, links, opt-ins, social icons, a search box, and much more. One of the more complex website footers we’ve designed, including two sections, multiple menus, contact information, and a search box. 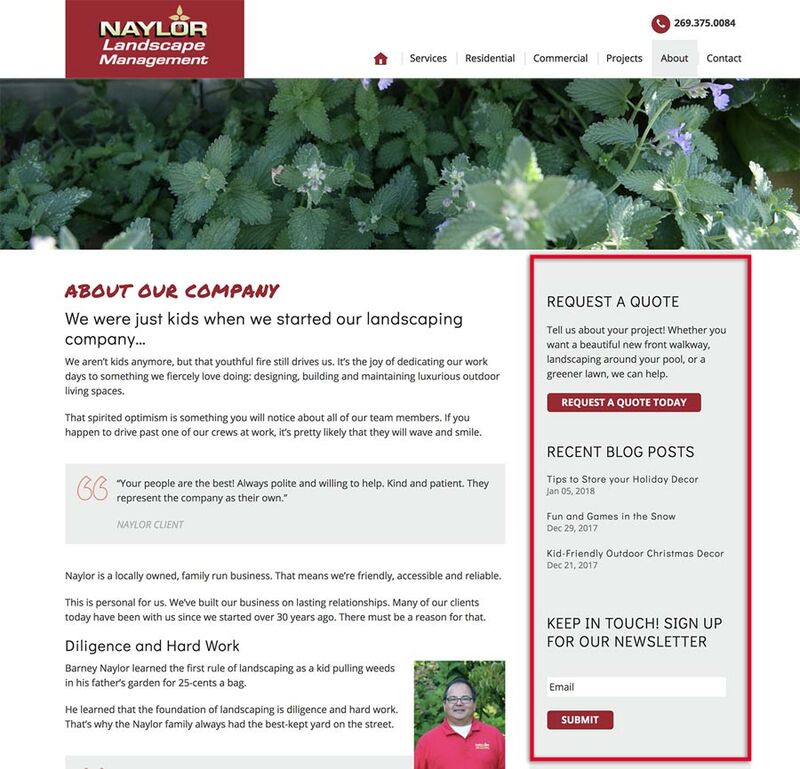 The footer is a great place to catch the visitor’s attention and guide them deeper into your website when they reach the bottom of the page. For some great ideas, check out Orbit Media’s post Website Footer Design Best Practices. Armed with this information, you should now be ready to “speak web design!” Confused about other web design terms? Leave me a comment, and I’ll add them to this article. I come to your site when I chance upon hearing your interview at the Matt Report podcast. I just want to say that this post is simply brilliant. Simple, informative and straight to the point. As a freelance web designer/developer, I’m impressed. Kudos! Hi! Thank you Sara! Will be sharing this to my class! Mainly concerned on the Call to Action. Useful article for the new-comers. Thanks Samuel, glad it helped! Hello Sara! I really appreciate the clear explanations and points that you made in your post. I still find it challenging every time I set menus for my new websites and also I quite, unfortunately, ignore the footer area. 😊I just came across this website but I am going to explore more since the start was promising! Thanks for sharing! Very nice and precisely described the different parts of a website. Really useful information.Thanks. A website is an online representation of your company online. A website is developed to connect digitally to your customers. Almost every website needs maintenance to keep up with the pace of the industry. This article describes the Web Design Terms and the explanation of that. This article has covered every information regarding the web design terms that your web designer might use in detail. Thank you for posting this article. Sarah… I ran across this article during a Google search. This post is GOLD!!! Thank you so much! I have been working on developing web content for my new website and was looking for organizational assistance. Quite frankly, I was drowning in all the ideas and examples I have accumulated. In trying to mentally conceptualize the layout of my website, I became overwhelmed with all of the different parts of a website design, as well as the correct terminology. I was also considering the use of sliders and a side bar in my website. Your references on these topics have provided great information that has given me pause to reconsider such usages. Your post provided immense clarity! I will be searching for other posts you may have blogged about for more information. You have turned my chaos into organized chaos… and for thank you have my many thanks! John, thank you so much for this great feedback. I’m so glad this post helped! Wishing you all the best in further organizing your chaos!